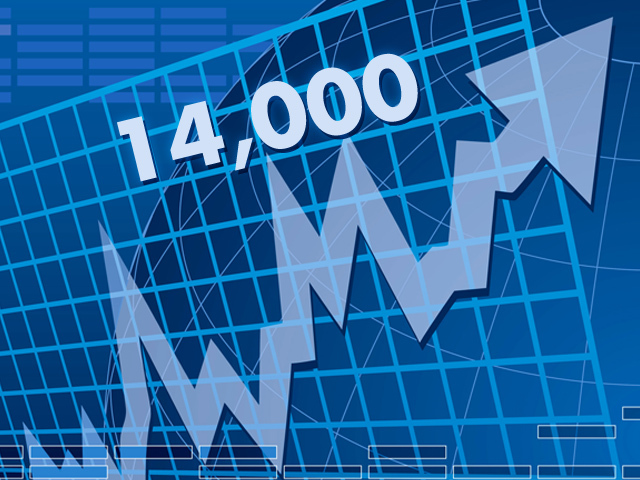 NEW YORK The Dow Jones industrial average climbed above 14,000 for the first time since the Great Recession. A budget deal, struck at the start of the year in Washington, that allowed the U.S. to avoid the "fiscal cliff" was the catalyst for a January rally. Investors then pushed stocks higher amid optimism that the housing market is maintaining its recovery and that the jobs market is slowly healing.